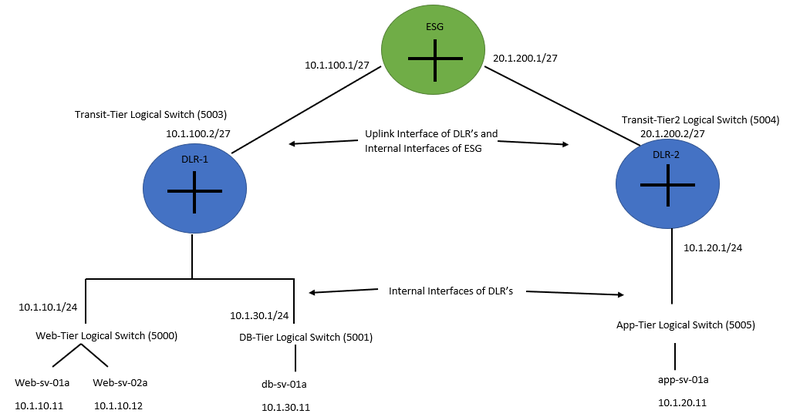 Note: In this Scenario, ESG is connected with 172.20.10.0/24 Network. This Network represents physical network. Bingo!!!!! It's Configured. Now VM's can communicate with each other connected on different DLR's as well as physical network. 0 Response to "DLR to DLR Static Routing Setup Using ESG"